To heighten the awareness of the religious sector on mining, the Mines and Geosciences Bureau Regional Office No. 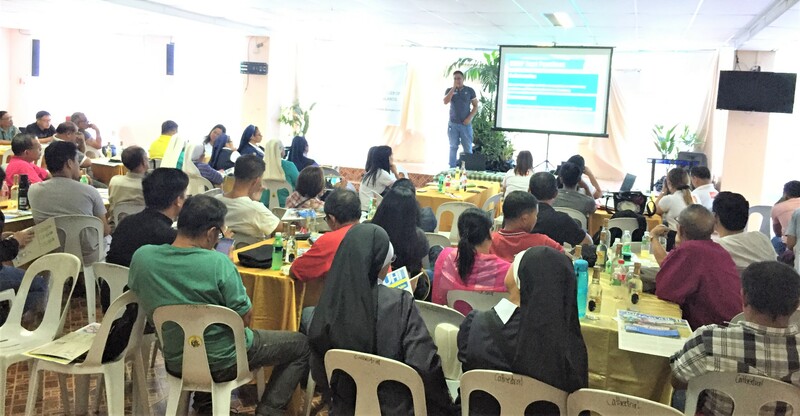 XIII conducted the Awareness on Mineral Resources in the Provinces of Surigao del Norte and Dinagat Islands for the Diocese of Surigao on April 10, 2019 at the Cathedral Parish Hall of San Nicolas de Tolentino Parish in Surigao City. The activity aimed to enrich the knowledge of the religious sector on mineral resources in general and the mining industry in particular. It was attended by the clergy, nuns, seminarians and Social Action workers of the Diocese of Surigao. Mr. Romeo M. Dalodado, Geosciences Division Chief of MGB ROXIII, and select technical personnel gave substantial presentations on Geology and Mineralization of Surigao del Norte and Dinagat Islands; Mining Policies and Tenement Updates; Environmental Protection and Enhancement Program; Employment and Taxes derived from Mining; and Social Development and Management Program. The positive impacts of mining on numerous communities were highlighted. In the same way, the possible negative impacts of mining and the corresponding mitigating measures to be undertaken by the mining companies and the interventions to be carried out by the concerned regulatory government agencies were presented. Mr. Reid Bautista, IEC Officer of Taganito HPAL Nickel Corporation, presented his company’s Best SDMP Practices and Corporate Social Responsibility initiatives. He also presented a video showing the social development projects of THPAL. The Diocese of Surigao has been into a critical collaboration with the mining industry since 1999 when it became a member of the Mine Rehabilitation Fund Committees (MRFCs) and Multi-Partite Monitoring Teams (MMTs) of the mining companies operating within the Diocese of Surigao which has an episcopal jurisdiction in the Provinces of Surigao del Norte and Dinagat Islands. Over the past two decades, the Diocese of Surigao, together with the rest of the MRFC members, has been instrumental in molding the face of the mining industry in Surigao del Norte and Dinagat Islands. Since membership to MRFC was limited only to the Official Representative/s of the Bishop and for MMT to the Parish Priest (or his official representative) assigned in areas where a mining operation is present, it is essential for the other diocesan clergy, nuns, seminarians, and Social Action workers to keep abreast of relevant information on and developments in the mining industry in Surigao del Norte and Dinagat Islands through an awareness raising activity. Copies of an IEC material entitled Mining Quick Facts were distributed to the participants. 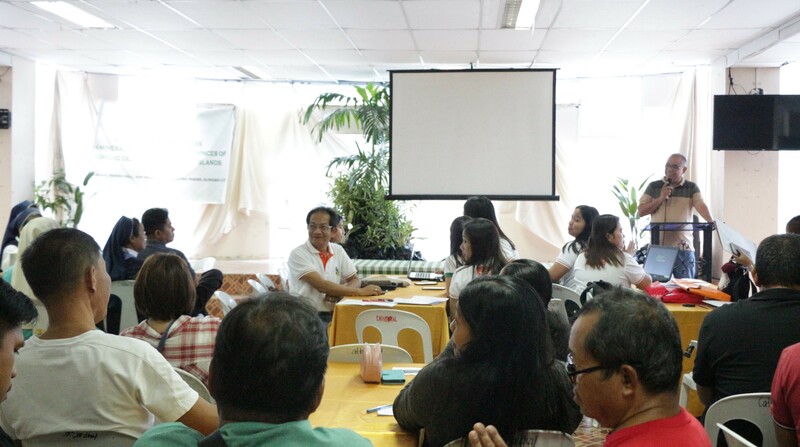 After the presentations, an open forum ensued wherein the participants raised issues and concerns related to the presented topics which were appreciated and noted by the MGB ROXIII technical personnel. Towards the end of the activity, Engr. 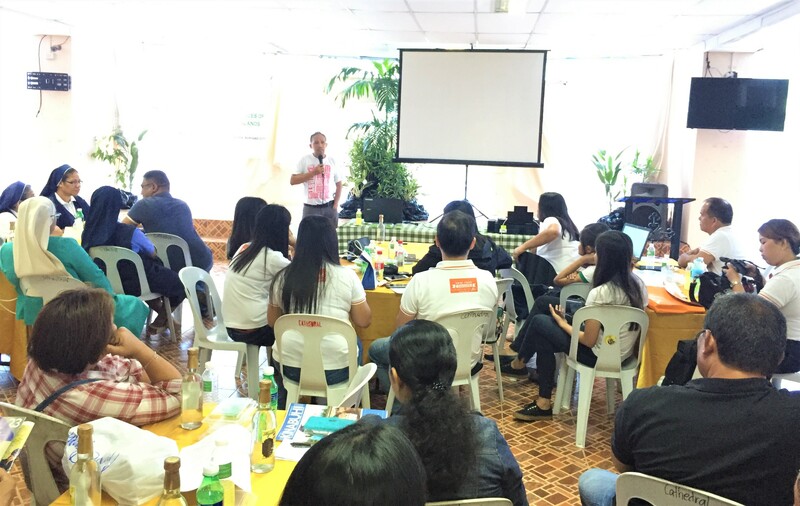 Elmer Tecson of the City Environment and Natural Resources Office of Surigao City presented the Solid Waste Management Advocacy of the City Government.